I love that there are so many pockets on outside and has a clip for a passing inside where its ready to go when the little one drops it. 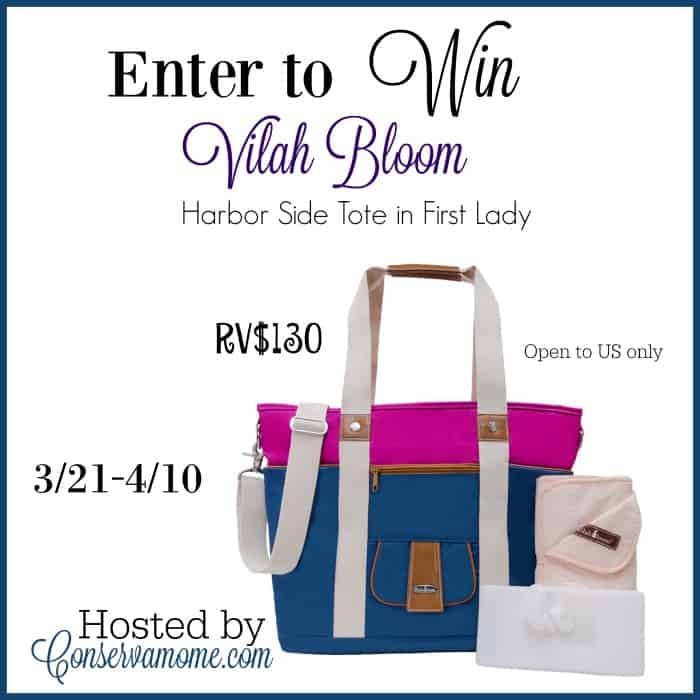 One thing that I really like about the Vilah Bloom Harbor tote is the Colors! They were the first thing to catch my eyes! Beautiful! https://www.pinterest.com/pin/334603447296467077/ Sorry again the last one also has the same problem as the first one wont take in m y last comment so I put it here for today! Definitely a Broken on 2. Commented on Sprinkles Magazine Aprils Issue is here.. Cathy Jarolin Left this answer here could not put it in the correct place in the # 1 space would not let me!! https://www.pinterest.com/pin/334603447296526419/ This is my repin for today~ Couldn't put it in the correct spot Broken link! !